BRYAN EATON/Staff Photo. 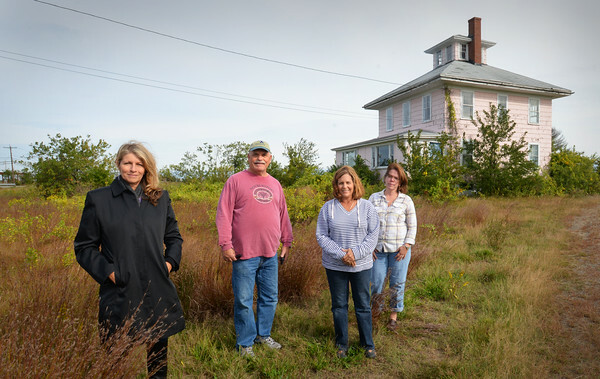 Several residents are lobbying to keep the "pink house" on the Plum Island Turnpike from the wrecking ball and hope to use it as artist space and other passive uses. At the site after meeting with Parker River National Wildlife Refuge manager Bill Peterson are, from left, Rochelle Joseph, Andy and Barbara Griffith and Kathy Mashburn.